GOLF NEWS - Golf chiefs on Wednesday clarified new rules on caddie alignment following separate incidents at recent invents which saw two players controversially hit with stroke penalties. 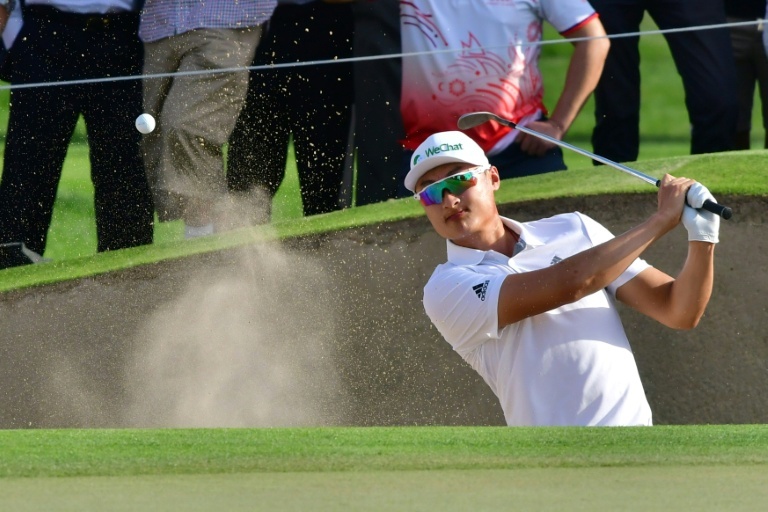 China's Li Haotong was slapped with a two-shot penalty at the Dubai Desert Classic while Denny McCarthy received an identical sanction at the Waste Management Phoenix Open in Arizona. Both incidents arose from confusion over the application of rule 10.2b (4) which governs where a caddie may stand when a player is making a stroke. The new rule introduced this season bars caddies from standing behind a golfer once the player has begun to address their ball. Li was punished when his caddie moved to his side after he had begun his putting stance while McCarthy was sanctioned for a similar offence. Although the Royal & Ancient later said Li had been correctly sanctioned in line with the rules, McCarthy's penalty was revoked after tournament officials said other players had not been punished for the same offence. The R&A and USGA sought to clear up the confusion on Wednesday in a statement clarifying application of the rule. The two golf bodies said that if a player backs away from taking a stance, he was not now "considered to have begun a stance for the stroke." "Therefore, a player can now back away from his or her stance anywhere on the course and avoid a breach of Rule 10.2b(4) if the caddie had been standing in a location behind the ball," a statement said. Players would also only be punished if a caddie was "deliberately" aware that a player was entering a stance to take a stroke and was standing "on or close" to the line of play behind the ball. "Experience has taught us that introducing a new rule requires us to balance patience with a willingness to act quickly when necessary," USGA senior managing director of governance Thomas Pagel said in a statement. "With so many pivotal changes to the rules this year, we've committed to offering any assistance needed in making the rules easier to understand and apply, without taking away the inherent challenge of playing the game." I'm a 47 year old man looking to meet women between the ages of 38 and 48. I'm a 59 year old woman looking to meet men between the ages of 52 and 64.